Found on the pages of The Chicago Tribune . . . this was taking place in Chicago on May 17, 1921 . . .
A big story in the May 17 Trib was a $270,000,000 proposal to change the face of downtown. 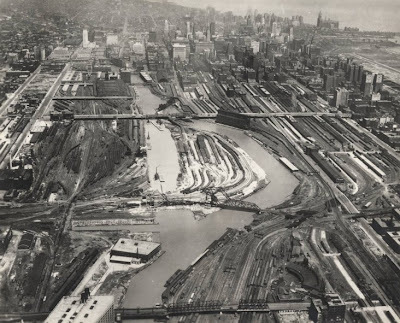 On this date 45 city officials inspected the improvements, some of which had already begun. 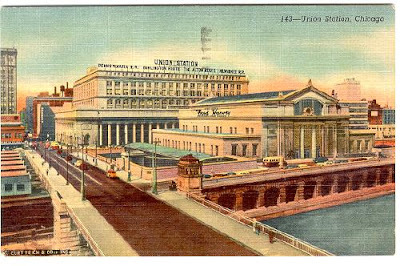 The chairman of the Committee on Railroads, Alderman Cermak, along with William F. Lipps of the Railway Terminal Commission, met in the morning to look at an artist’s rendering of what the proposed $10,000,000 “head house” at Union Station would look like. The group, joined by Michael J. Faherty of the Board of Local Improvements and Charles H. Wacker, the Chairman of the Chicago Plan Commission, then toured the lakeshore as far south as Gary, Indiana. The planning for the new Union Station began in 1913 with the original plans drawn by Daniel Burnham’s firm. 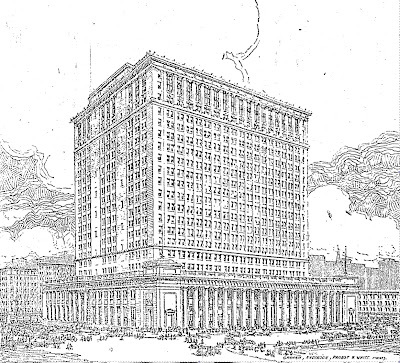 The architect died a year earlier, and the plans were finished by Graham, Anderson, Probst and White. The project took up more than nine city blocks and took more than a decade to finish. 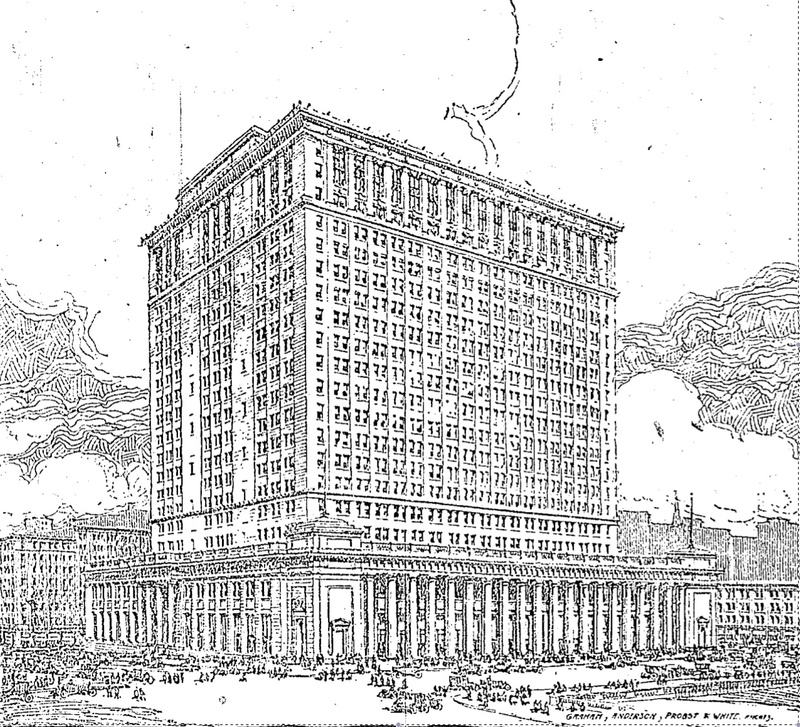 Finally, on May 16, 1925 the great station opened with a significantly shorter office tower than was originally proposed.